These cookies are the best ever. I need to make a “best of” blog. This recipe would be for BEST COOKIES. I´ve got quite a few favorite recipes and it would be fun to gather some of them into one blog. These cookies are big….BIG! I tell you… and that´s why they are so soft in the centre. 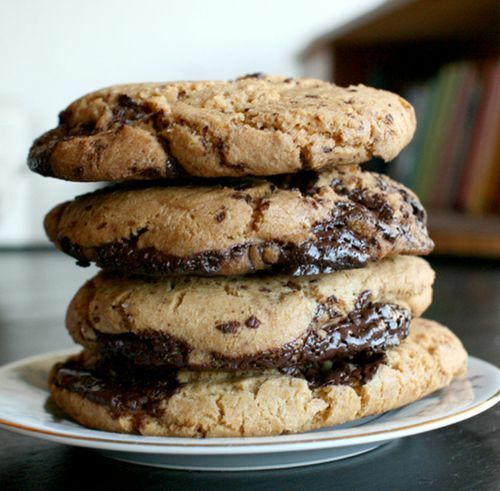 I have to tell you, if you are a cookie fan, you truly have to try this recipe. It´s my favorite cookie recipe. 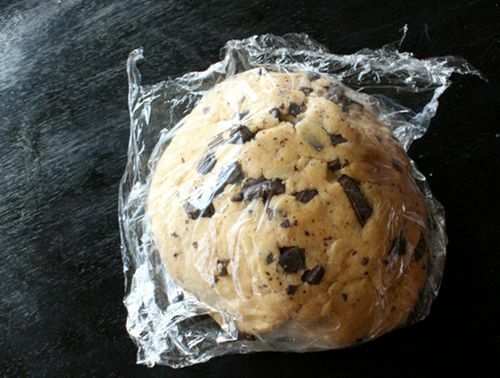 The important thing here is to store the dough in the fridge for 24 hours before baking. It´s a clever thing if you have a small household to bake only 4 (yes, only 4 cause remember, they are big) at the time, because they are best fresh from the oven, and you can keep the rest of the dough in the fridge for up to 3 days or you could put it in the freezer for some time. Put dry ingredients in a bowl, set aside. Combine butter and sugar in another bowl and mix together in a mixer with the paddler attachment until it becomes light and fluffy (3-5 minutes). It´s best to use butter at room temperature. Add the chocolate after you cut it into small pieces. THE DAY AFTER: Take the dough and make balls, mine were about 100 gr each. It´s about the size of a golf ball. Like I said they are big. 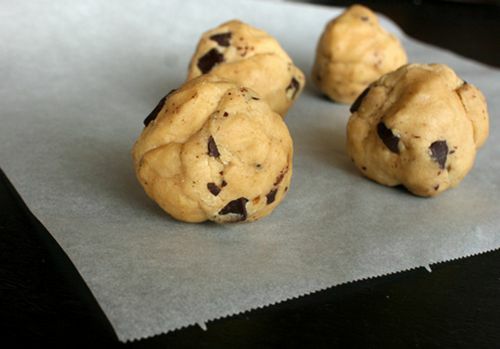 Put 4 cookie balls on parchment paper on your baking sheet. Make sure there is a good space between them, because they melt down and need their space. Bake for 180°for 18- 20 minutes. do not bake them for too long so they wont get hard. We do like soft centre don´t we? This is a recipe from New York Times. YUM! Definitely decadent cookies! These look amazing! !